The Forever Foundation was established in 1999 with the goal of supporting the future viability of the Western Bulldogs Football Club. The Board of Directors are a group who have been closely involved with the Club over many years. Ray Baxter is a Director of the Forever Foundation and also Chairman and Trustee of the Western Bulldogs Society (Bequests). Ray was Vice President of the WBFC Board for 5 years from 1996-2001. Ray's long association with the Western Bulldogs began as a player during the years 1958-1964. Career highlights for Ray were leading goal kicker in 1959 and 1960, and winning the Night Premiership in 1963. Ray enjoyed a successful career trajectory outside of football. Employed at Mazda in 1963, he progressed to General Manager by 1979. During the early years at Mazda, Ray continued to play footy as Captain and Coach of Mordiallic from 1965-67, being awarded Best & Fairest in both 1965 & 1966. In 1987 Ray brought Lease Plan to Australia as the Managing Director. By 1997 he was appointed Lease Plan Chairman for Australia & New Zealand, a position he held until his retirement in 2002. Ray's son Darren Baxter also played for the Western Bulldogs (1984-1992) before transferring to Hawthorn (1993-94). Ray and his wife Judy have 3 children and 9 grandchildren - proud Doggies supporters through and through! Peter has been involved with the Western Bulldogs for many years as a supporter and sponsor. As Chair of the Western Bulldogs Forever Foundation since 1999, he is committed to ensuring the long term viability of the Western Bulldogs. Peter previously chaired the Committee for Werribee and the Wyndham Community Cultural Foundation, and as a past Mayor of Wyndham has had a distinguished career in supporting the communities of the West of Melbourne. He has extensive experience in Capital Raising for Community benefit. Peter and his wife Maxine have grown a substantial dry cleaning franchise (Hudson Dry Cleaning), and are now involved in many successful business ventures ranging from property to coffee. Peter loves to fish on the pristine waters of Karumba, Queensland, boasting he catches large barramundi. Peter and Maxine are also known to escape to a houseboat on Lake Eildon. 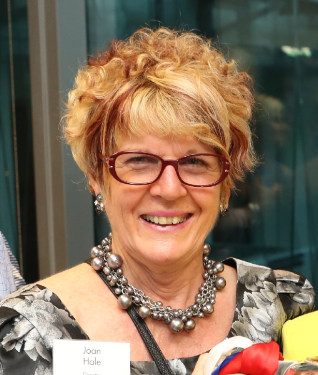 Susan is well known figure in Melbourne as a passionate Bulldogs supporter who has been a part of the Clubs’ growth and development since 2004. Susan was Vice President of the Board of the Western Bulldogs Football Club, retiring in 2016, In addition to being a Director of the Western Bulldogs Forever Foundation and a trustee of the Western Bulldogs Society (bequests) Susan is a Director of the AFL National Women’s League Advisory Group and has been a central figure in spearheading the AFL women’s football league and is the AFLW inaugural premiership cup ambassador. 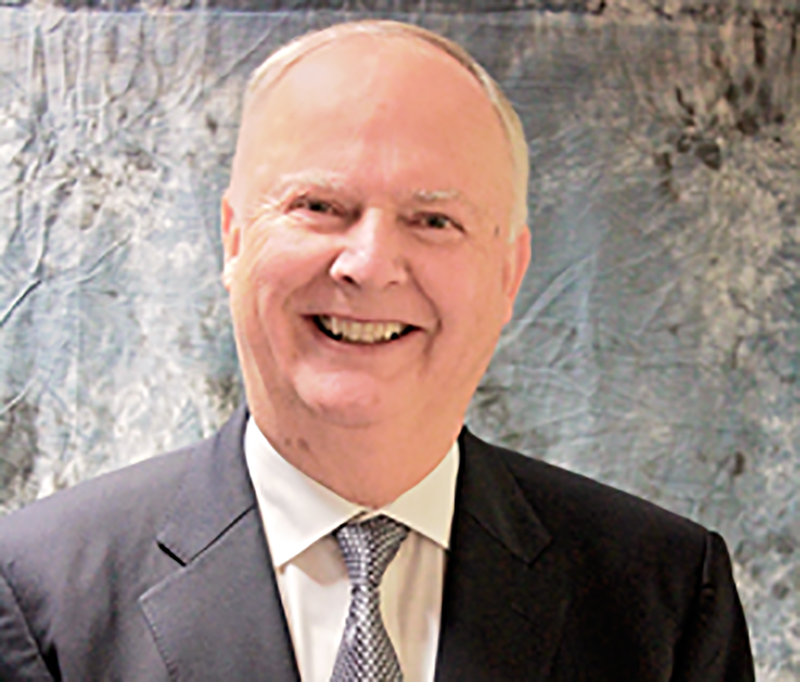 Campbell is Chief Executive of Victrack, a Victorian Statutory Authority that manages some $32 Billion in assets including land, telecommunications and rolling stock that are required to run the State’s train and tram systems. As former and longest standing Chief Executive of the Western Bulldogs (2002-2010), Campbell has most notably been credited for the redevelopment of the Whitten Oval and creating the commercial community and sports performance platform from which Luke Beveridge and his team have taken the Club to its' first Premiership victory since 1954. An Honours graduate of Footscray Institute of Technology (Victoria University) Campbell was a recipient of Doctor of Letters honoris causa from Victoria University in 2005, and named a 'Victoria University Legend' in 2007. Campbell has served on the Victoria University Foundation since 2004. Campbell was awarded a Member of the Order of Australia (AM) in January 2017 for his significant contribution to sports management, infrastructure and transport and to the community of Victoria. Eric brings a wealth of experience and financial probity and transparency to the Forever Foundation and is committed to the long term financial stability of the Western Bulldogs Football Club. Eric is a Company director and Chartered Accountant, Chairman of Directors of Sydney Stock Exchange Limited, Deputy Chairman of Directors of Beacon Lighting Group Limited and Director and Risk Committee Chairman of Austock Life Limited, and active director of other private companies. He is a retired partner from PricewaterhouseCoopers following a 36 year tenure, and past Chairman of State Council of the Institute of Chartered Accountants. Eric continues to work as a tax advisor, and provides tax expert forensic services to the Prosecution and Defence in major tax litigation. He is a 40 year member of the Taxation Institute of Australia and a founder of the Migration Institute of Australia. Eric has 8 grandchildren, all lifelong members of the Bulldogs from an hour of their birth..
Eric is also a Trustee of the Western Bulldogs Bequest Society. Joan is a founding director of the Forever Foundation and has been a Western Bulldogs supporter for many years. Joan is also a Board Member of Taralye – Victoria’s leading organisation for deaf and hearing impaired children – and participates in their Finance Committee. Recently Joan completed a Cert IV in Remedial Therapies and works from home with a small practice. Joan supports the Forever Foundation by working closely with philanthropic organisations. Rebecca is a former Press Secretary, speechwriter, and senior adviser to Labor Premiers and Ministers in NSW and Victoria. More recently Rebecca has worked as a communications consultant in the private and not-for-profit sectors. Rebecca provides communication support to the Forever Foundation. A former Sydney-sider who chose the Bulldogs as her team in 2000 after moving to Melbourne the previous year, Rebecca brings her passion for the Dogs to support the work of the Foundation. Pas joined the Foundation in January 2016. He is a life long Bulldogs supporter and member, and a graduate fromVictoria University with a degree in Building Construction. Pas is a Founder and Director of ABH Group, one of Victoria’s largest building and development companies. ABH Group was integral to the re-development of the Whitten Oval, being responsible for constructing the highly successful Susan Alberti Community Child Care Centre. Pas' passion goes beyond the Football Club and that of its' immediate performance - he is committed to leaving a legacy for future generations of Doggies supporters. Pas is married to Karen and has two young children who are proud young members of the Pups Pack. Peter has been a life long supporter of the Western Bulldogs having lived in Essex St, Footscray as a young child and new immigrant, a stone throw away from Whitten oval. Peter has 20 years experience working in the property, construction and infrastructure industry. Peter began his professional career as a Senior Project Architect and qualified town planner before he focused on law, and went on to work in senior legal roles at Baker & Mckenzie, BlueScope Steel and an executive role at Silcar. Peter moved to Victrack in 2014 as Company Secretary, and is currently General Manager of Property, Infrastructure and Developments. He joined the Forever Foundation Board as a Director in 2016. Rachel joined the Board of the Forever Foundation in 2016. Rachel is a taxation accountant at the University of Melbourne with an interest in supporting charities and not-for-profit organisations with their finance and risk management. Rachel comes from a Chartered Accountancy background and is a member of the Institute of Chartered Accountants Australia and New Zealand. As a fifth generation Bulldog, Rachel 'bleeds red, white and blue'. She has lived in the Western suburbs all her life, and loves how the Western Bulldogs embody the spirit of the region. Rachel spent over twelve years working at the Western Bulldogs from 2002 to 2015. During this time Rachel worked across all part of the business including human resources, training and development, the community programs and football. 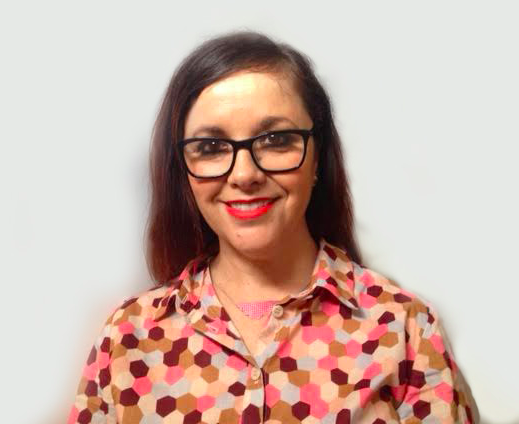 Rachel assisted the Western Bulldogs Board and the Forever Foundation with administration for many years and was a Director of the Foundation from 2013 to 2015. Rachel helped to develop and launch the Bulldogs Museum and Bequest program and has returned to the Foundation Board in 2017. Rachel is currently the People & Culture Manager, Pacific at Specialized Bicycle Components. Specialized is an American manufacturer of high performance bicycles, bicycle components and related products. It was founded in 1974 and headquartered in Morgan Hill, California and today is a global company with offices throughout the world.